Jordan is more than Petra. Jordan is more than visually stunning. 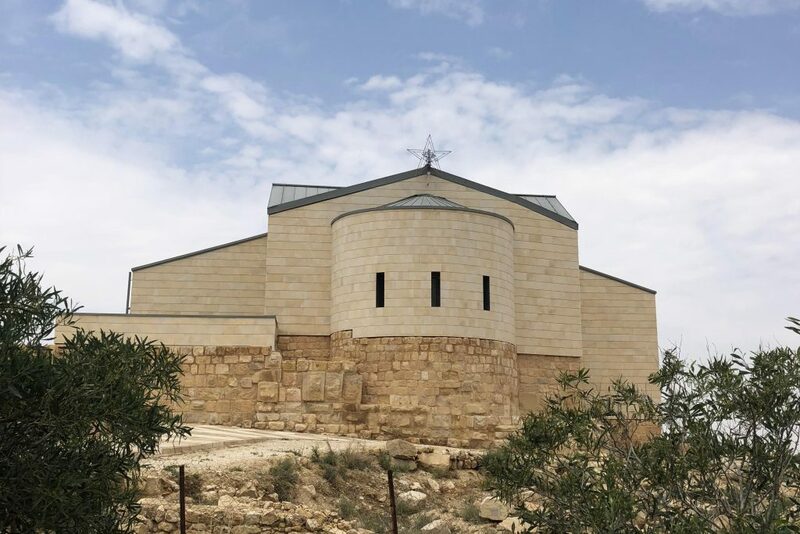 Jordan is more than a mecca of religious sites, important to Christians, Muslims and Jews. Jordan is a place where hospitality comes naturally. Where visitors are treated as guests (and not just in the hospitality industry). Where strangers share a cup of sweet tea with foreigners. Where giving without remembering is a way of life. Why you should read my Jordan Travel Blog! 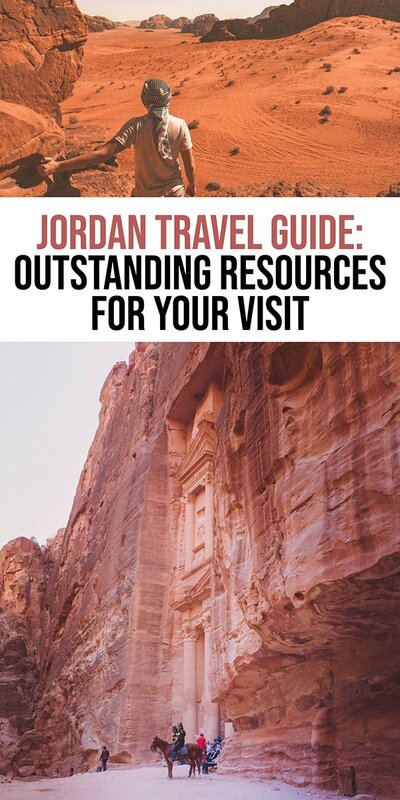 This Jordan travel guide will help you if visiting the red-rose city of Petra is on your bucket list. Or if you want to watch the sunset on the back of a camel in the desert of Wadi Rum, or float at the Dead Sea, or wander the ruins of Jerash, or dive into the blue waters of Aqaba, or smoke sheesha at a coffee shop in Amman, or enjoy the sweet bedouin tea next to a fire after hiking along the Jordan trail. I have spent months in Jordan and my Jordan Travel blog has plenty of valuable pages that can help you plan your epic vacation to Jordan. Jordan has something for everyone. Whether you are an adventure traveller who wants to trek, or bike, or scramble up rocks. Whether you want to follow the footsteps of T. E. Lawrence of Arabia across the desert. Whether you want to explore everything that this country has to offer for your family. Whether you want to see for yourself the Holy Land that was shown to Moses. Maybe you want to know what shopping is like in the Middle East when you can visit the souq and a 6 story mall in the same day. Maybe spending a day with a bedouin will help you see how small we are in a world with 6 billion others. As one of the top Jordan travel blogs online, I am getting emails almost daily from travelers who are either considering, planning or preparing for their own trip to Jordan. I have put together a few things to know before visiting Jordan to help you prepare for your upcoming trip. Jordan Power voltage is 230 V and they use a mixture of the UK style plug and European 2 pin plug. Bring a Universal adapter for ease of use. The local currency is Jordanian Dinar (JOD) and can easily be obtained on arrival at Queen Alia International Airport. There are ATM machines and Currency Exchange places inside the airport before customs (Those who need to pay for a visa need cash, I always get mine at the ATM). It is essential to have cash on you as you will be using it for things like tips, taxis, restaurants and Jordanian souvenirs. Jordan is safe for a solo-female and for families. You can read more on our post Is Jordan safe? English is widely spoken through the hospitality industry, but do not expect the local tea shops on the side of the highway or the shops and restaurants in the residential neighbourhoods to have english speakers or english menus. Some taxi drivers do not speak English either, but most times I have been fine. Dress conservatively, especially in small towns. While women can wear tank tops in major cities, if you look at 99% of the people there, they do not dress as you may. Best to try to fit in, rather than stand out. It can snow in the Northern part of Jordan in the winter (even in Amman), do not think that a winter visit will be warm. Even February and March can have cool days with cloud and rain in the North and temperatures over 20C in the south in Aqaba. Bring layers and warm clothing if you are visiting between November and April. Expect late openings for restaurants during Ramadan as muslims will be fasting. One of the most read posts on my site is my post about Safety in Jordan. Another favorite is the Top Things to buy in Jordan. If you are planning to see the country independently, check out Best Ways to Get Around in Jordan or taking the Amman to Petra bus! If you are like me and like slow travel, there are tips on renewing a visitor visa in Jordan here. I travel with my two kids, if you have children as well, check out these Fun Things to do in Amman with Kids and Do’s and Dont’s at the Dead Sea as well as my City Guide to Amman including restaurant recommendations and visiting the sights. I recently came across GRAYL water bottlesand use them when I am in Jordan. While I do brush my teeth with hotel and house tap water, I try not to let my kids do it. Having a grail filtered water bottle is handy to get water from the taps if you do not know if they are filtered. Buying bottled water in Jordan is also cheap, but I prefer to try and stay away from single use bottles and buy it just for drinking for my kids if we have run out of our filtered water. Backpack – nothing says tourist more than a backpack, but if you are doing a multi day trek, pack something that can comfortably carry your lunch and water for the day, as well as extra clothing. But if you want to fit in with the locals, carry you stuff in a plastic bag. It might sound funny, but after spending half a day in the country, you will be able to spot the local ex-pats and the tourists almost instantly. My Jordan travel blog has a few dozen posts that can help you on your upcoming travel to Jordan. As always, feel free to reach out if you have any questions, I am happy to answer any of them! Is Petra by Night Worth It?